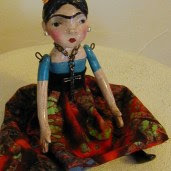 Happy Frida is a new listing on ebay today. I also listed a print of her on Etsy. I love your work! I am in Mass. !